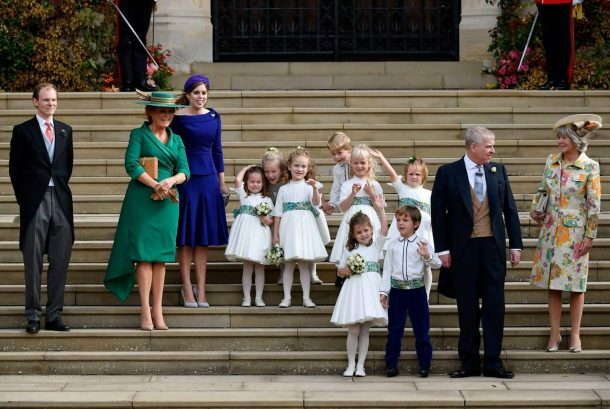 Guests held on to their hats in strong winds, as the young bridal party struggled to stay on their feet. 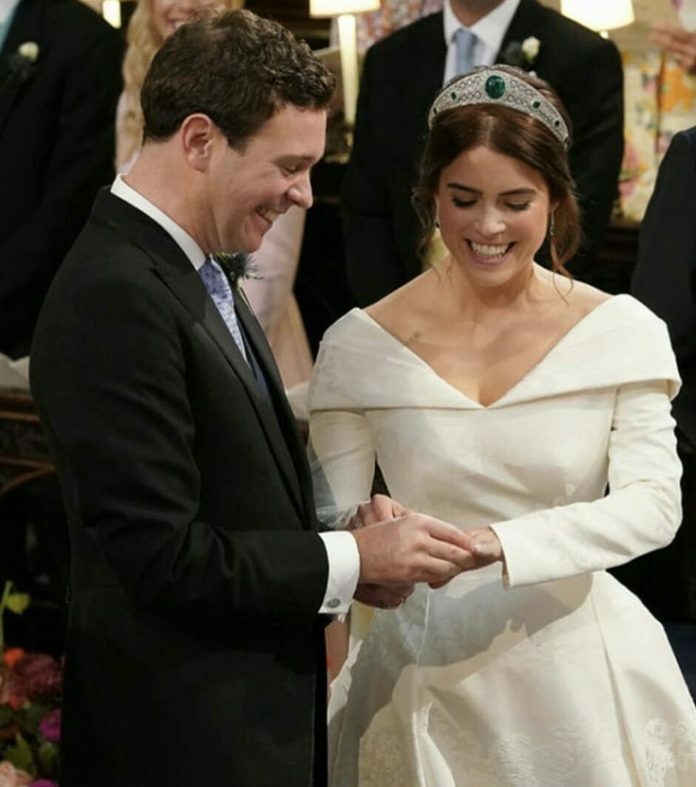 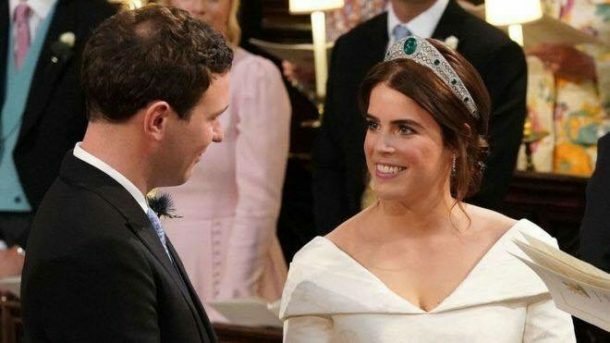 The 28-year-old and drinks executive Jack Brooksbank, 32, tied the knot at St George’s Chapel – where Prince Harry and Meghan Markle married in May. 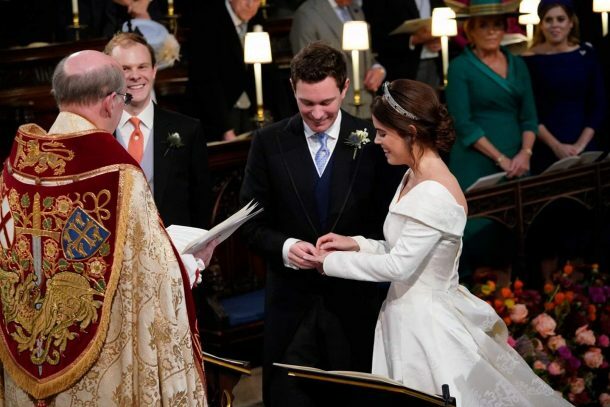 The couple met when skiing in Switzerland in 2010. 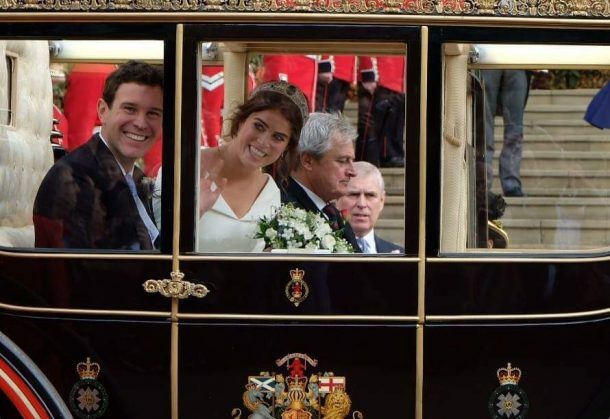 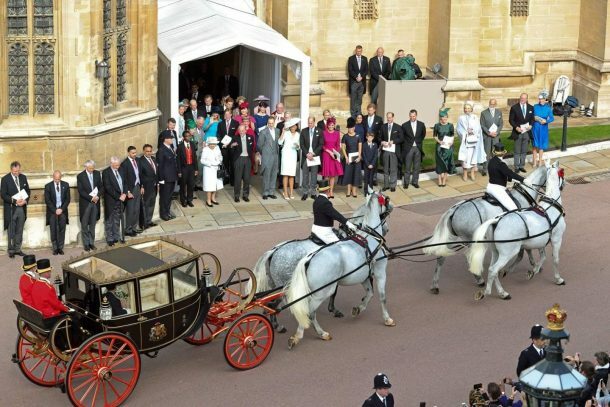 BBC royal correspondent Jonny Dymond said there were “lots of smiles and lots of nerves from the couple”. 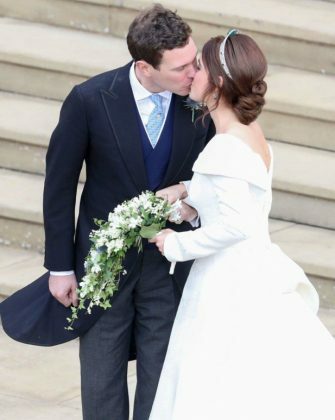 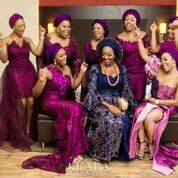 He said the bride kept breaking into a broad smile and the groom was delighted, but “both of them were a little nervous too, their hands shaking together before they took their vows”. 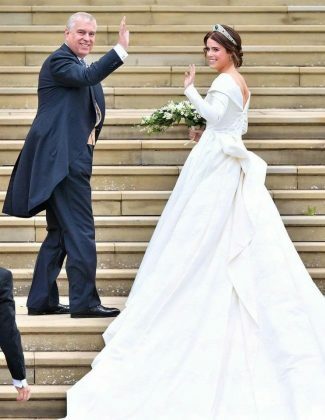 The dress features a neckline that folds around the shoulders to a low back that drapes into a full length train. 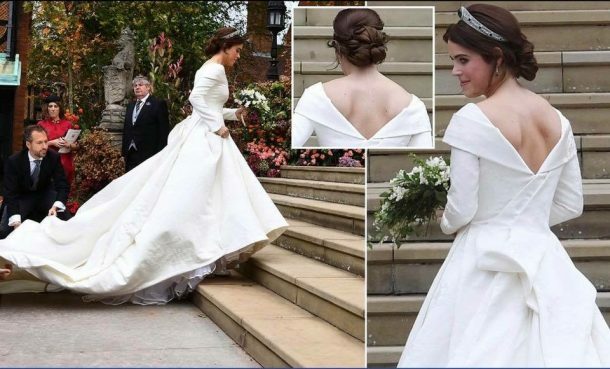 The low back was a request from the bride, who wanted to show her scar from surgery to correct scoliosis when she was 12 . 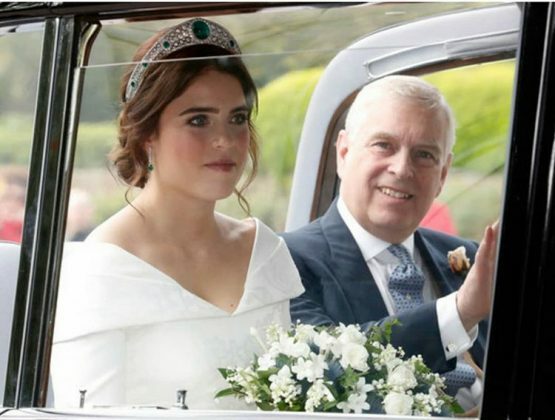 Her tiara was the Greville Emerald Kokoshnik Tiara, loaned to her by the Queen and made by Boucheron in 1919. 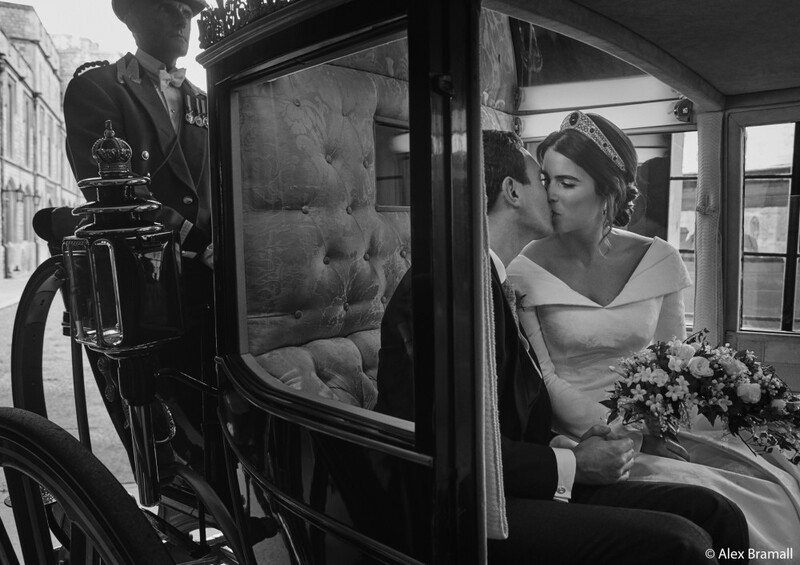 Created in the “Kokoshnik” style, popularised in the Russian Imperial Court, it features brilliant and rose cut diamonds pave set in platinum, with six emeralds on either side. 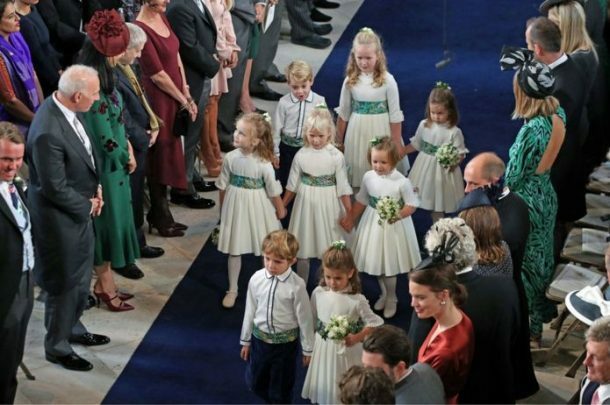 The Duke and Duchess of Cambridge’s children, Prince George and Princess Charlotte, were a pageboy and bridesmaid. 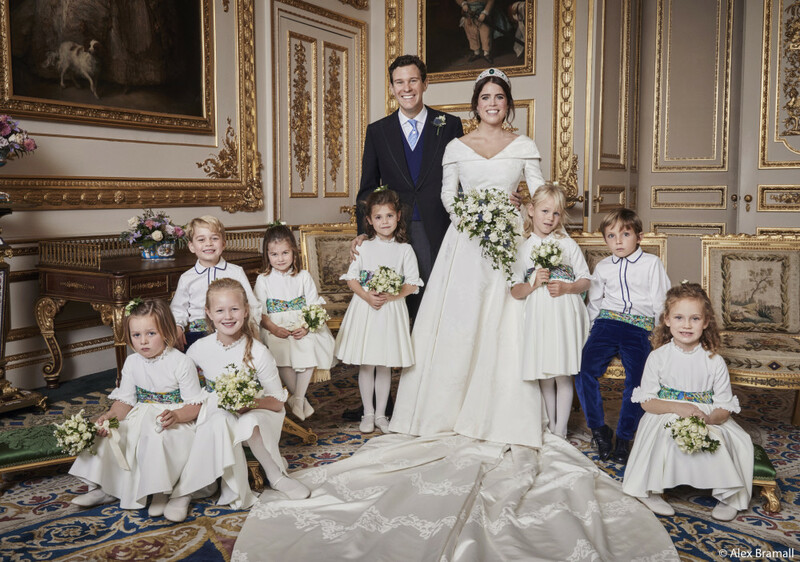 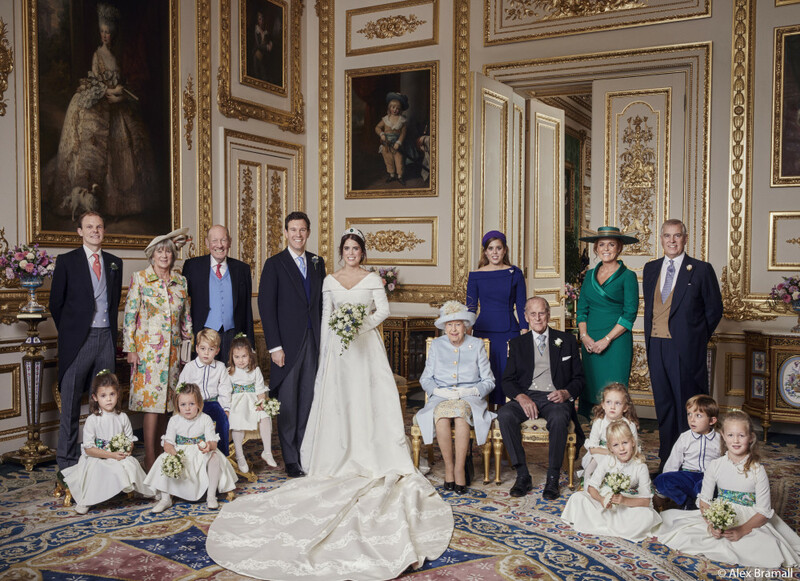 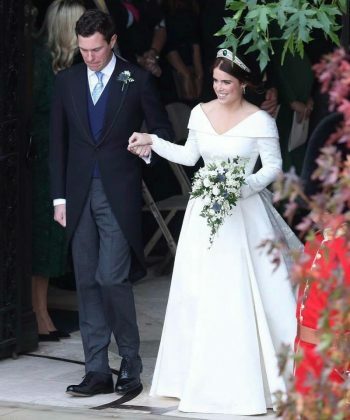 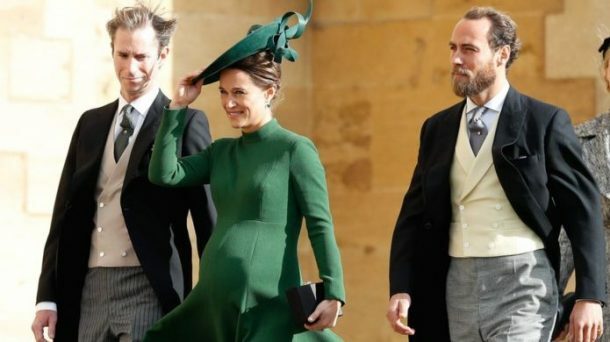 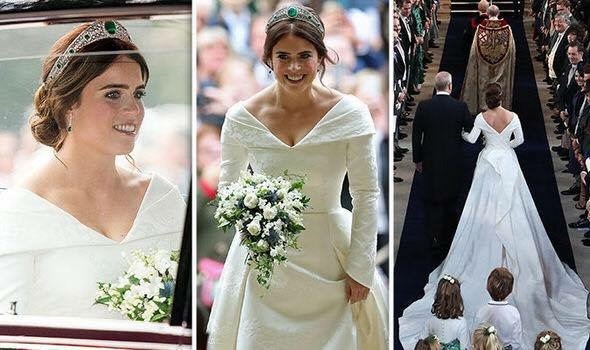 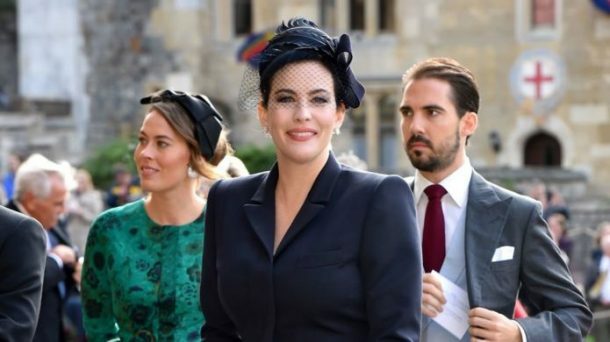 The other bridesmaids were Mia Tindall – daughter of Zara and Mike Tindall – Mia’s cousins Savannah and Isla, Eugenie’s goddaughter Maud Windsor and Robbie Williams’ daughter, Theodora. 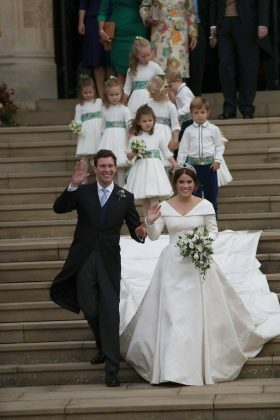 The other pageboy was Louis de Givenchy, six, the son of friends. 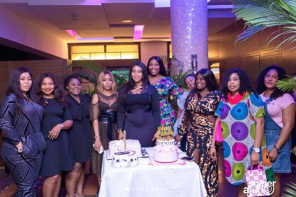 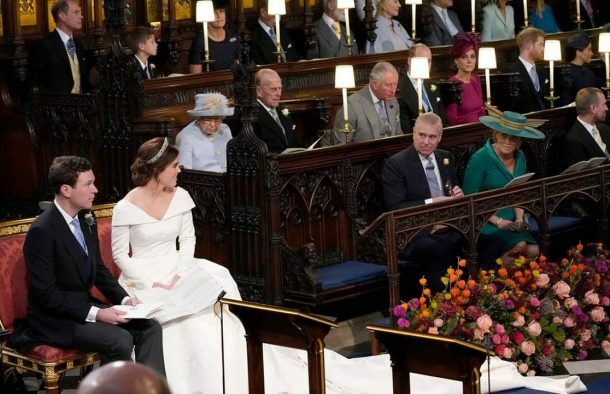 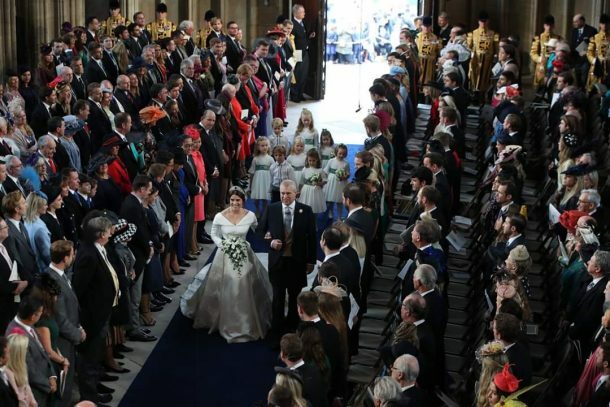 Among the celebrities sharing their special day were singer James Blunt, comedian Jimmy Carr and David Emanuel – who designed Princess Diana’s wedding dress.